Although effective implementation of the Internet technologies has a great potential for improving efficiency and reducing wastage within the fresh produce supply chain. the situation of the Internet usage by SMEs (small and medium sized enterprises) in the fresh produce supply chain is still unclear in China. As the main players, SMEs haven't been given enough attention from both academics and governments. 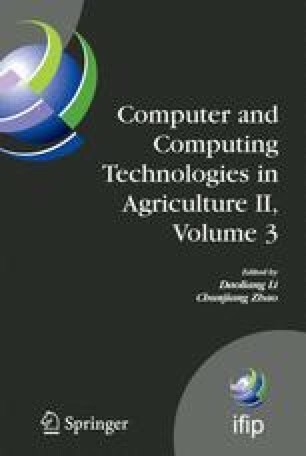 Therefore, this research attempts to address this issue by, first, investigating the current usage of the Internet and related software by Chinese SMEs in the fresh produce supply chain, and then, by identifying enablers and barriers faced by SMEs to call government's attention. As a part of an EU-Asia IT&C funded project, a survey was carried out with SMEs in this industry from five major cities in China. The results reveal that in the relatively developed areas of China, SMEs in the fresh produce supply chain are rapidly adopting the Internet and software packages, but the level of adoption varies greatly and there is a significant lack of integration among the supply chain partners. Chinese SMEs are keen to embrace emerging technologies and have acted to adopt new software and tools. Given that cost of implementation is not a barrier, their concern over legal protection and online security must be addressed for further development.